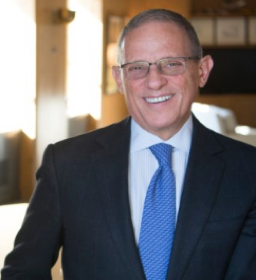 Fred P. Hochberg is a seasoned business executive and government leader, who has navigated organizations through rough waters and brought them to new heights. He recently concluded eight years of service as Chairman and President of the Export-Import Bank of the United States (EXIM), where he became the longest serving Chairman in the agency’s history. Previously, he was Acting Administrator of the Small Business Administration (SBA) and Dean of the Milano School at the New School. Before entering public service, Hochberg spent almost two decades leading his family’s direct marketing business, Lillian Vernon, where he oversaw a 40-fold increase in revenue and managed the initial public offering. Hochberg led EXIM through a period that included elevated demand for its services in the aftermath of the global financial crisis. During his tenure, the agency supported more than 1.4 million American jobs and financed exports with a value exceeding $240 billion, while generating $3.8 billion in profits for U.S. taxpayers. Hochberg reduced internal agency costs by 30 percent, managing a staff of 400+ people. With customers in mind, Hochberg was also able to cut transaction times so that 98 percent of transactions were processed within 100 days, even as he introduced innovative new financial products, and reorganized EXIM to focus on the sectors where U.S. exporters enjoy a comparative advantage like aerospace and transportation, equipment for resource extraction and power technology. Hochberg developed an innovative executive education program for the non-profit arena, raised Milano’s profile and left the school on a much firmer financial footing. He also established the Dean’s Alumni Council and pioneered an executive education program. Hochberg quadrupled lending to minority- and woman-owned businesses, improved application response times and expedited the agency’s transition to automated loan processing technology. Hochberg led the transformation of a small, family-owned mail order company into an international, publicly traded direct marketing corporation. Leading the company for 18 years, Hochberg oversaw the relocation of the company to Virginia, the construction of a 500,000 square foot distribution and data center and the company’s initial public offering in 1987. Lillian Vernon experienced a nearly 40-fold increase in annual revenue during his tenure, rising from $5 million in 1975 to $180 million in 1993, and employed more than 5,000 people at its peak.